The Information Accountability Foundation is a global information policy think tank that works with regulatory authorities, policymakers, business leaders and other key stakeholders around the world to help frame and advance data protection law and practice accountability-based information governance. A fascinating study and cautionary tale on how blind adherence to a flawed algorithm can have tragic unintended consequences. Informed and compelling article on AI and privacy; exploring the concepts of consumer “choice” in data sharing, “fair exchange” between consumers and companies who collect or analyze data, and the importance of “context” in determining the extent of consent for data use. These articles discuss technologies with troubling potential to generate fake news, character assassination, disrupt the democratic process and destroy privacy as we know it. The issues raised in these articles support compelling arguments for ethics in technology design and whether AI may be used to combat this troubling trend. This report surveys the landscape of potential security threats from malicious uses of AI technologies, and proposes ways to better forecast, prevent, and mitigate these threats. AI-based cybersecurity technology shows great promise in accelerating and automating the identification of threats and vulnerabilities as well as vastly improving incident detection, response and remediation. Examples are Palo Alto Networks’ Magnifier and Alphabet’s Chronicle. A discussion on creating a machine learning framework. How these designers went about creating something from scratch and the many pains experienced and insights learned during development. Arrays are the main data structure used in machine learning. In Python, arrays from the NumPy library, called N-dimensional arrays or the ndarray, are used as the primary data structure for representing data. In this tutorial, you will discover the N-dimensional array in NumPy for representing numerical and manipulating data in Python. After completing this tutorial, you will know: What the ndarray is and how to create and inspect an array in Python; Key functions for creating new empty arrays and arrays with default values; and How to combine existing arrays to create new arrays. Featuring exclusive content from the foremost innovators in AI – including Microsoft, Facebook, Amazon, Google, Accenture and IBM. AIBusiness.org brought forward the latest news deciphering the impact of AI in business. 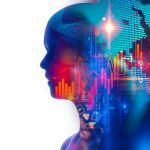 The portal features dedicated sections on the major industries where uptake of AI is significant – finance, professional services, healthcare and retail have been particularly popular with business-focused audiences. A wonderful resource filled with keen intellect and inspiring writers. Artificial intelligence’s influence is not going to be restricted to tech roles – it is going to change how nurses, pilots, physical therapists, small business owners, investment bankers and farmers all do their jobs. Humans For AI aims to build the diverse workforce of the future leveraging the existing artificial intelligence technologies. AITopics is the Internet’s largest collection of information about the research, the people, and the applications of Artificial Intelligence. Their mission is to educate and inspire through a wide variety of curated and organized resources gathered from across the web. AITopics is brought to you by The Association for the Advancement of Artificial Intelligence (AAAI). The Asilomar AI Principles are the work product of thought leaders in economics, law, ethics, and philosophy evaluating opportunities and challenges related to the future of AI and steps to ensure that the technology is beneficial. OpenAI is a non-profit AI research company originally funded by Elon Musk aimed at discovering and enacting the path to safe artificial general intelligence (AGI).